President of MAart Agency Ltd since 1991 and Mobiling Ltd. since 2011. Graduate of the University of Warsaw Faculty of Modern Languages – English Institute (MA), Executive MBA Programme at the Warsaw University of Technology Business School (WUT BS, London Business School, HEC Paris, NHH Bergen – joint MBA degree), and a PhD Management Programme at the Warsaw School of Economics (SGH) – research specialization in strategic quality management. Apart from managing several companies, Monika is currently the President of the Polish Association of Translation Companies (PSBT) (since 2009), a certified sworn translator and interpreter (since 1998), international standards expert, part-time lecturer (visiting lecturer at several universities), ISO auditor trainer, Chair of the Polish Committee for Standardization (PKN) General Issues and Management Systems Sector (since 2010), Chair of the PKN Technical Committee 256 on Language, Terminology, Translation and Interpreting – ISO TC 37 Mirror Committee (since 2008), Head of Polish national delegation to ISO TC 37 (since 2007), as well as OASIS, ISO and CEN expert (since 2007), and the EUATC Liaison Representative to ISO TC 37 (since 2014). She has a number of industry and academic publications on standards, Quality Assurance, strategic quality management and terminology, and presented at leading industry conferences (Loc World, ATA, TM-Europe, ATC, EUATC, EC’s Translating Europe Forums and Workshops, Points of View Bi-Annual Conference, numerous workshops etc.). 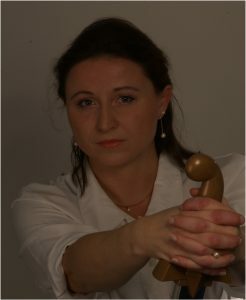 Monika is also affiliated with many language and business organisations (ATA voting member, TEPIS expert member, KIG Council member, TC 37 Steering Committee member, WeConnect, among others). As a standards expert Monika specializes in: EN 15038, ISO 17100, ISO 9001, ISO 9004, ISO/IEC 82079-1, ISO 13485, ISO 27001, XLIFF, EFQM, TQM. She was one of the editors for the ISO 17100 (Translation services – Requirements) standard and is currently the Project Leader for the new ISO 20771 (Specialist Translation – 1. Legal Translation – Requirements) and the ISO 21999 (Translation Quality Assurance and Assessment – Models and Metrics) – which are currently under development within ISO TC37/SC5.